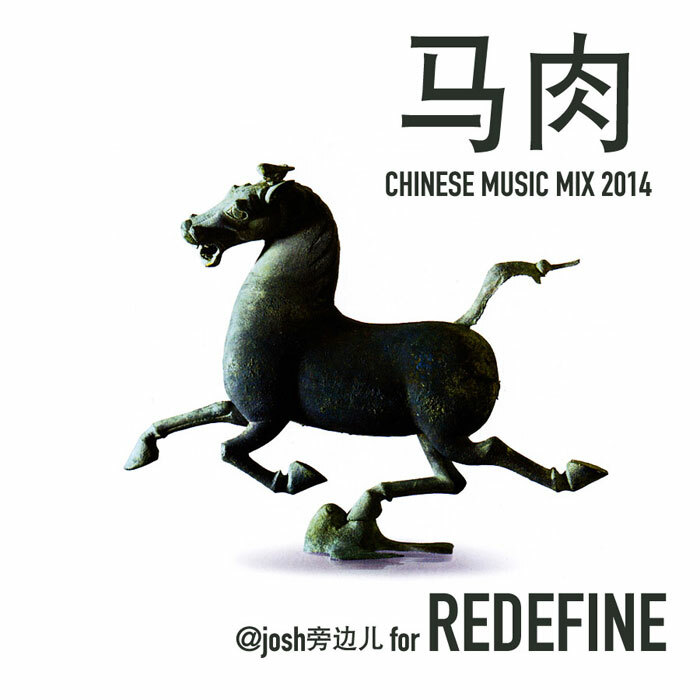 马肉 (Horse Meat) 2014: a mix of Chinese music by Josh Feola of Pangbianr (旁边儿) for REDEFINE. 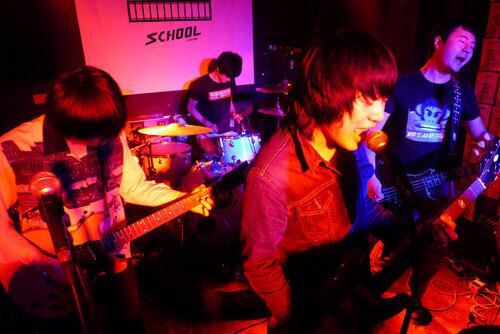 World premieres, practice demos, deep cuts, and stone cold classics from the Chinese rock underground circa 2014. This is a new old Snapline song. It predates the material on their most recent album, Phenomena, but wasn’t recorded until 2012, when itinerant Angeleno producer Manny Nieto stopped over and laid it down. 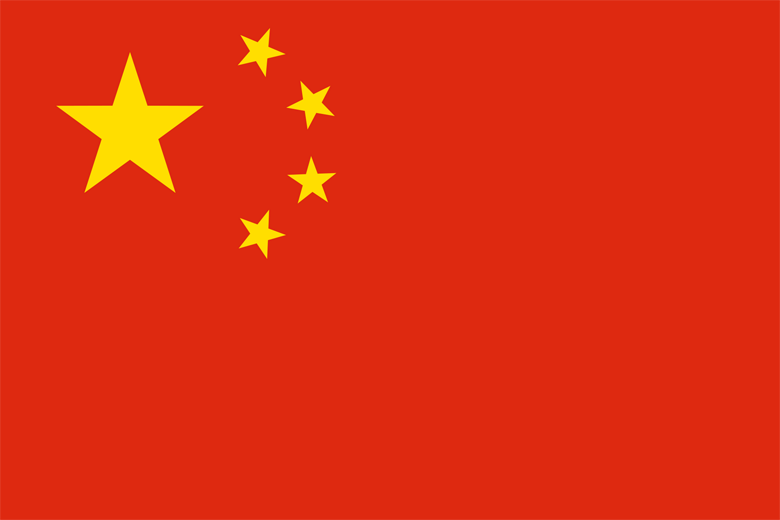 Read about his epic China odyssey here. “Paper General” is the A-side of an upcoming 7″ on Genjing Records. 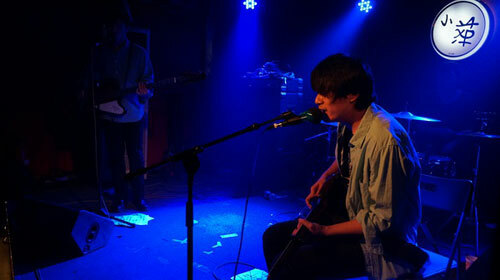 Hiperson is a buzzed young band coming out of Chengdu in southwestern China. 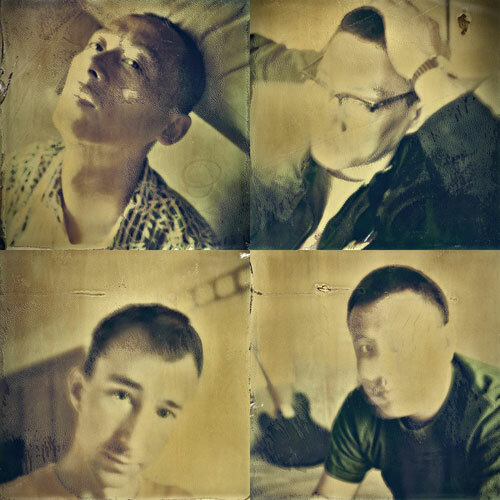 Pumping new blood into the whole Chinese post-punk thing, which is already enough of a zeitgeist at the moment to maybe warrant a new sub-sub-genre of 21st-century angst music. They were a favorite of American videographer John Yingling, who spent months on the road in China filming a documentary called The World Underground. Keep an eye out for that one sometime in the spring. 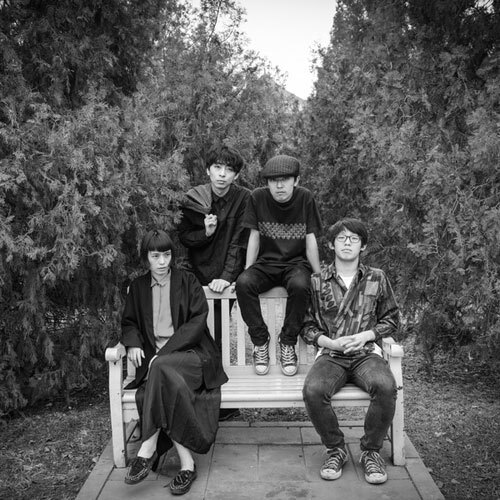 The Fallacy, from Xinxiang, are another group picking up on the muddy guitar post-punk vibes inherited from frontrunners like Beijing’s P.K.14 (see below). This is an unreleased track that will be included on a 7″ single forthcoming on Genjing. It was produced by P.K.14 vocalist Yang Haisong, who’s kind of a hallowed saint/mentor/constant supporter/beacon for new action from the Mainland underground noisemakers. This one’s off the new, as yet unreleased LP for ex-LA guitar ‘n drums ‘n buzz duo, Alpine Decline. 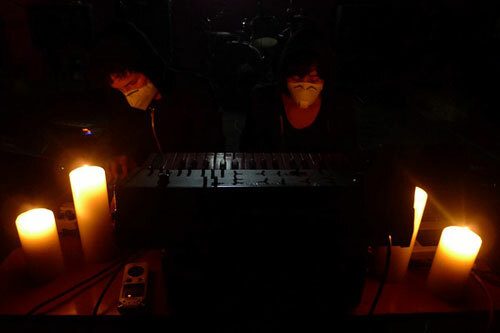 GO BIG SHADOW CITY, the band’s fifth full-length, was also recorded in Yang Haisong’s underground parking garage studio late last year, and sounds suitably subterranean. AD is going on an extensive Australia tour next month. Clock in to their Facebook page if you’re in that corner of the world. This one’s from the vaults, relatively speaking. It’s off Ourself Beside Me’s debut (and only) album, self-titled, released in 2009 by Maybe Mars. Stream/buy the whole thing here. OBM doesn’t really play any more, but their founder and songwriter Yang Fan is still very active in the scene, producing debut albums for young turks like Chui Wan and Bedstars (see below) and adding live scores to various artsy film and theatrical pieces. Last year, she went to the US for the OneBeat cultural exchange tour. And she’s working on new solo stuff that sounds like An Electric Storm. Cool. Chui Wan are at the edge of a kind of Beijing psychedelic rock movement (though “Movement” may be too strong a word because there are like three bands doing it and most of them disappear after a few shows). 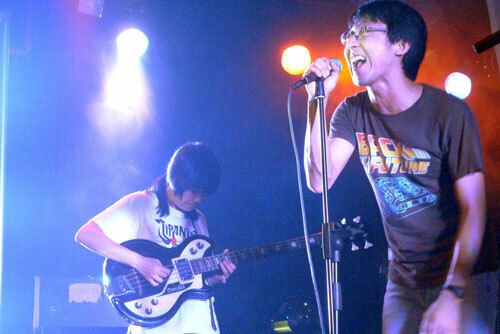 Chui Wan’s members come from the scene centered around Zoomin’ Night, at this point Beijing’s longest-running experimental music weekly. “Berber” is off their 2012 debut LP, White Night, which you can stream/buy here. Full disclosure: I drum on this record. Deadly Cradle Death are also hellspawn of the Zoomin’ Night scene. One of the members is the guitarist of Chui Wan; the other is the guitarist/vox of Birdstriking and bassist of Carsick Cars. It’s all very incestuous. Aside from dropping a CDR demo and terrorizing South by Southwest in 2012, DCD has been pretty quiet of late (metaphorically, not literally) — but they just laid down this ripper, which will be included on a split 7″ with UK noisemongers The Telescopes, to be released on Genjing later this year. 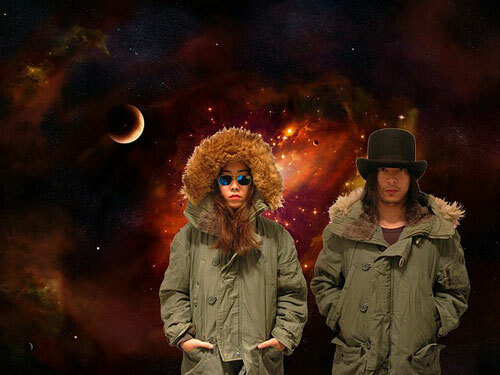 AV Okubo: harsh internet-era electro-rock from Wuhan. Last year, they recorded a new album with Gang of Four guitarist Andy Gill. That will be released as Dynasty later this year by Maybe Mars. This track is on it, and will also be featured on a Genjing 7″. The B-side of that one is called “Heroin.” Yeah. 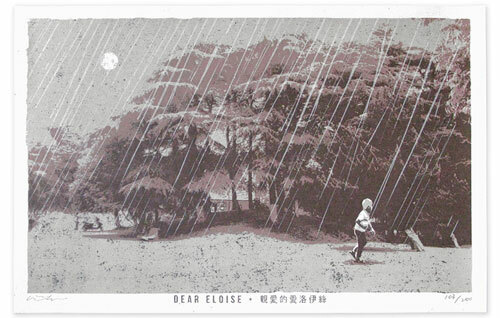 Dear Eloise is the wife-husband duo of Sun Xia and Yang Haisong. They’re a studio-only phenomenon. “I’ll Be Your Mirror” is, of course, a cover of The Velvet Underground’s classic Lacanian love song, but here “cover” can be used in only the loosest sense, as Sun Xia reconfigures the entire vocal arrangement, tuning up Nico’s smoldering Germanic shout-whisper to a sweet falsetto set to her own beat. This was released as a super-limited lathe-press vinyl so it’s already long gone, but you can download the track here. The Diders. I get fake-beer-drunk just typing those words out. 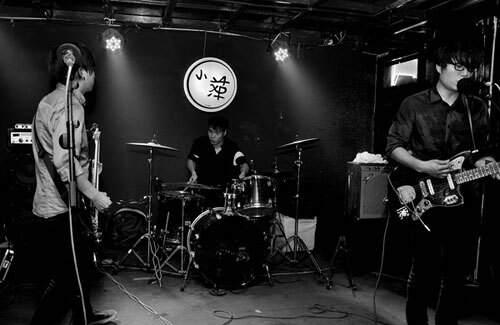 Diders are the latest in a long line of underage alcoholics picking up guitar, bass, and drumsticks without necessarily knowing how they work and using them to pay tribute to Beijing’s great drunk punk canonizers, Joyside (see below). And they rip harder than pretty much anyone else doing it currently. For a long time, they would play one or two originals and then an indecipherable melee of Germs, Dead Boys, and Joyside covers. Now they’re working on a proper release. In the same vein are The Bedstars, who’ve been at it a bit longer. Due to a five-year hangover, they’re just now putting the finishing touches on their debut album, which is being produced by Yang Fan and will be released by Maybe Mars later in the year. Keep your ears peeled for that one. Yeah, Joyside. This jam’s a stone cold classic, my favorite of theirs. 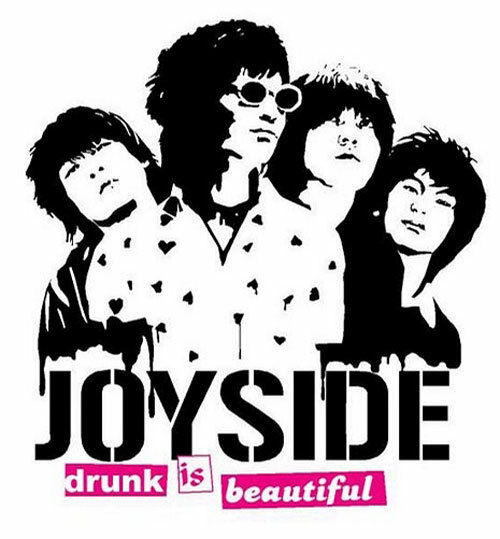 Pretty self-explanatory and a handy summation of the whole Joyside scene circa 2007. The members of Joyside are still around and not particularly lazy — they actively keep their fingers in a lot of pies, actually. But they’re still wasted. Palette cleanser time. 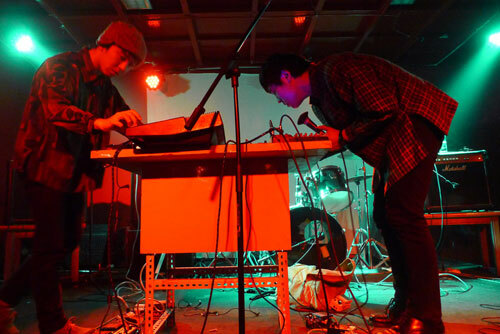 Vagus Nerve is the psychedelic noise duo of free guitar shredder Li Jianhong and laptop improviser Vavabond. They also have a more chilled out atmospheric field recording project called Mind Fiber. But I prefer the no-filter freakouts of Vagus Nerve. This is just a short sample of a longer recording… the full version goes on for approx. 3600 years. Here’s another sneak peek for you. 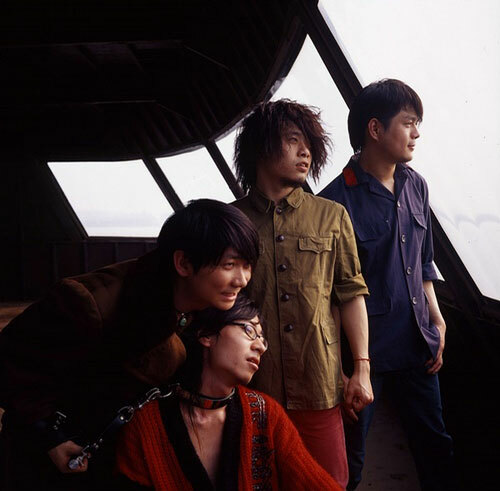 Carsick Cars is one of China’s best known indie bands. They’re currently gearing up to release their long-anticipated third studio album, 3, and a comprehensive tour peddling that across China and North America. “Yoko” is a studio extra from the 3 recording session. It’ll be included on a Genjing split with Flavor Crystals from Minneapolis later this year. 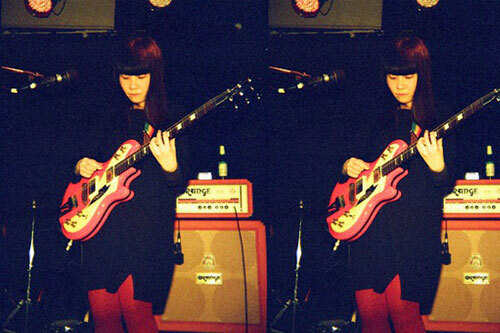 This one’s a deep demo cut from Taiwanese shoegaze diva Ben Ben. Her band Skip Skip Ben Ben is kind of a protean beast, with her as the only constant member. Ben Ben has bounced between Taipei and Beijing for several years, at different times lending her talents to Carsick Cars and Boyz & Girl. 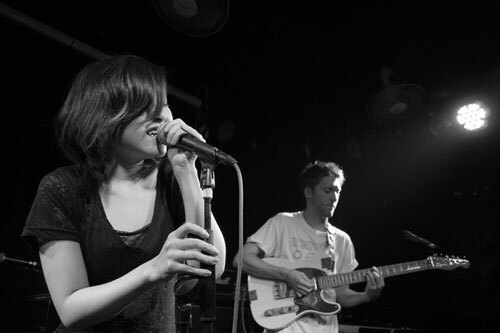 She formed a Beijing version of Skip Skip Ben Ben and toured around an album with that incarnation last year. Check it out here. Last I heard, though, she got hitched and moved somewhere to the southwest Chinese countryside. Little Punk is a poet/singer/hellraiser who cut her teeth in Shanghai and did the northern drift to Beijing about a year-and-a-half ago. This track is off her 2010 debut, Hey guy, you are big time alright., which was a DIY production released by veteran Shanghai music scene watcher Andy Best (he also plays guitar on the record). Since then, Little Punk hasn’t put out much material, but she recently started playing shows again, now with her husband Morgan as the backup band. She still plays this track live, and it still devastates. Keep an eye out for her new EP, Last Summer, which will be out in the Spring on Genjing. Also on deck from Genjing is a 7″ single for Tom Cruise and Katie Holmes, a practically un-Googleable duo from Shanghai. TC&KH are actually Xiao Zhong — the gadfly behind noise rock duo Pairs — and vocalist Cee Q of Marquee VII. The style is smoldering shoegaze pop — just guitar and vocals, real spare and raw. They self-released a full-length last year, which you can stream here. And… the mix wouldn’t be complete without a closing word from Beijing’s elder statesmen of underground indie rock: P.K.14. “Egyptian Rain” is a deep cut off their 2013 LP, 1984. Check out the full record here.